Paying bills online can be a pain – particularly thanks to phishing scams that aim to trick you into wiring cash to crooks by posing as your bank. Thankfully, Microsoft is integrating its payment service into Outlook, letting you send money without opening a separate browser window (and potentially tapping your credit card details into a fraudster's form. Microsoft says the aim is "to reduce friction between action and intent". In other words, to make your life easier. Initial partners include payment services Stripe and Braintree, billing service Zuora, and invoicing services FreshBooks, Intuit, Invoice2Go, Sage, Wave, and Xero. Any business that uses one of these providers to manage its payments will be able to send you bills to pay without leaving your inbox. Payments through Outlook are what Microsoft calls Actionable Messages – a concept it introduced last year. The theory is, if an email asks you to perform a task, it should be as easy as possible for you to do it. The first Actionable Messages were designed for businesses (for managing customer help tickets, for example), but Microsoft is now finding ways to take the pressure off home users too. 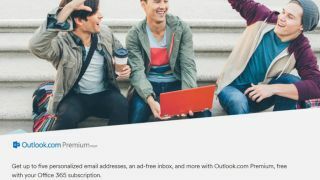 Microsoft will begin rolling out the service within the next couple of weeks, and it will become available to all Outlook users within a few months.